Membership dues for 2018-2019 are $875 for individuals and $1,650 for families. Individual membership includes one High Holidays ticket and family membership includes one ticket for each family member to our inspiring holiday services. For guests who are not members of the Metropolitan Synagogue, High Holidays tickets are $118 per person for a single service, $180 per person for services for a single holiday and $360 per person for all holiday services. For guests who are not members of the Metropolitan Synagogue, High Holidays tickets are $118 per person for a single service, $180 per person for services for a single holiday and $360 per person for all holiday services. 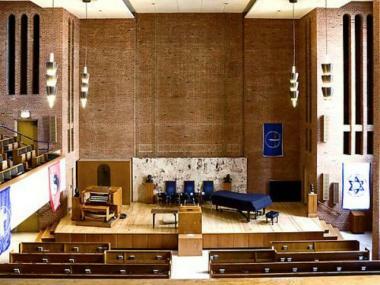 Here at the METROPOLITAN SYNAGOGUE, we bring together the warmth and spirituality of Judaism in our services as an extended family of all ages. For over fifty years, we have believed that music is a powerful vessel through which one can pray and one can also bring together a community with a common goal; a goal to keep the richness of our culture and religion alive. We celebrate our cultural diversity and heritage as expressed through performance, the written word, and inspirational educational programming. As we go through our day to day struggles of finding the balance between traditions and modernity we invite you to join us in prayer and in song and come together to create one community. We are the METROPOLITAN SYNAGOGUE and we welcome you! 6:00pmJoin Rabbi Plaut and Avram Pengas for an Israel Independence Day Musical Shabbat service. We are an egalitarian community. We welcome all to our services! We are a hamish and friendly extended family! Hebrew Home Study: allows students to prepare for their Bar/ Bat Mitzvah in the comfort of their own home. The program’s curriculum is specialized, dynamic and tailored to the educational and spiritual needs of each student. One-on-one or small groups. For 7-13 year olds. Adult Study: Discuss a range of Jewish topics for one hour, two times a month in a congregant’s home. Adult Study and B’nei Mitzvah Class: The Metropolitan Synagogue can’t quite turn you into a thirteen-year-old again, but we most certainly CAN prepare you for the Bar / Bat mitzvah experience! Visit our website for topics and tentative schedule. For three people or more. Custom Crafted Executive Study In Your Office: Jewish Torah / text study sessions catering to your interests--in your office for one hour, one-on -one sessions. Visit our website for suggested topics. If interested in volunteering, or joining any of these programs, or sharing your ideas, then please call 212-679-8580 or email us.